In the lead up to this year’s International CES, wearable technology was the major buzzword driving discussions of trends. The show hasn’t disappointed, with many brands bringing out new products that blur the lines between fashion, fitness device and gadgetry. Taking the stage at the brand’s opening keynote, president and chief operating officer of Sony Electronics Mike Fasulo said “this year is all about play” and presented the products to match. The brand was effusive about the benefits of its new Core smart accessory; it’s a small plastic tab measuring about an inch across that can be worn on the body, including clipped into a coloured wrist band, to measure activity throughout the day. 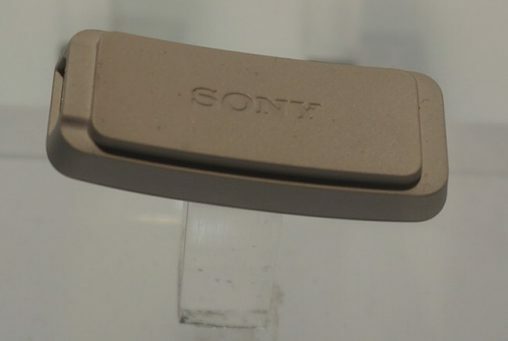 Sony’s new wearable accessory called ‘Core’. When partnered with the Livelog smartphone app, consumers can use Core to track their movements and then view it in an animated scrolling timeline. Speaking about the Core, President and CEO of Sony Mobile Communications Kunimasa Suzuki said it was all about “wearable entertainment”. “We are empowering you to log and visualise your daily life in a fun, entertaining and social way,” he said. “This is not just about logging [activity]… the Lifelog application will inspire your future with ideas and recommendations. For those that like to wear their technology on their sleeve (or more precisely, at the end of it) Sony also unveiled a prototype for a tennis sensor that mounts to the end of a tennis racquet handle to measure serve and playing performance. In the more practical realm, the brand also launched the newest iteration of its portable and mountable Action Cam, a tiny video camera targeted at sports and adventure enthusiasts. 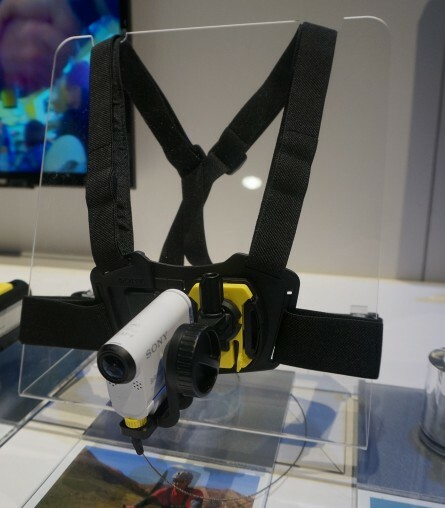 With a splash-proof body, advanced SteadyShot and Full HD video recording, the device will also be launched with a suite of dedicated mounts that will allow users to clip the camera to their bike, their ski helmet or their dog.